Even before Barack Obama was inaugurated as president on 20 January 2009 the talk boards of several websites frequented by conservative voters were already humming with angry conversations about the global economic meltdown. Why were the banks being bailed out, correspondents wanted to know, why were billions of their tax money being spent on government programmes, what would happen to their children saddled by public debt? One website that proved to be key in the inception was Market Ticker, an investment site run from Florida by Karl Denninger. “I saw everybody fawning over Obama with the inauguration and yet here he was appointing people like Larry Summer and Tim Geithner to his team who were all part of creating the problem,” he said. Stephanie Jasky, a paralegal from Detroit, Michigan, was one of the angry voices that took part in the Market Ticker chats. She and her husband had a business fixing up and selling houses, and they were hit when the housing market collapsed. The chat boards started to fill with calls to protest. But what was the best way to express anger? Somebody on Market Ticker suggested posting tea bags to their elected representatives in Congress as a form of protest. Jasky immediately leapt on the idea. Jasky bought an economy box of tea bags and posted one to every member of Congress. Other people did too. The practice spread so much so that by the time that CNBC reporter Rick Santelli made his famous rant on 19 February 2009, he did so standing in front of Chicago traders who all had tea bags stuck to their computer screens and phone banks. The two-minute diatribe quickly went global. It was grabbed by Conservative campaigns such as FreedomWorks and aggressively promoted. 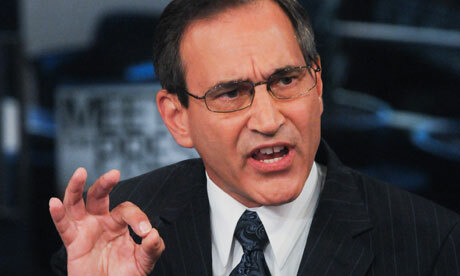 Angry voters began to respond to Santelli’s call and set up their own tea party groups linked loosely through the internet. It all happened with tremendous speed. Within 10 days of the rant, on 27 February, the first Tea Party rally was held in Washington, Chicago and other cities across the US. The tea party phenomenon had been born.